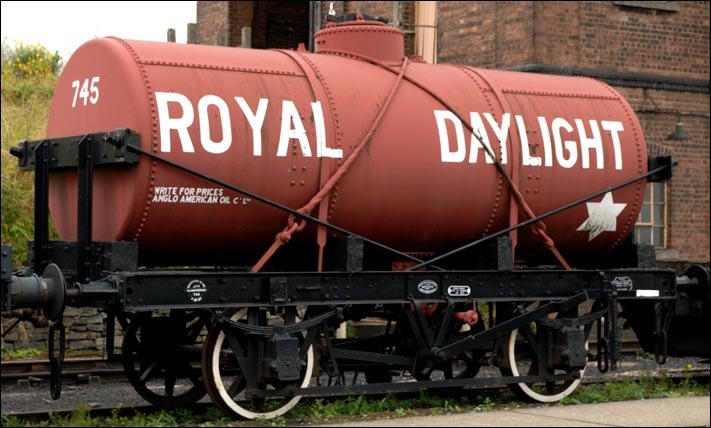 This Royal Daylight oil tank wagon has the number 745. It was built in 1912 by Hust Nelson and Co. It has on the lefthand side Write for Prices Anglo American Oil Co. This oil tank wagon is one of around 50 GREAT WESTERN RAILWAY wagons that have been saved at the Didcot Railway Centre next to the Didcot mainline railway station.